BRAINERD, Minn. [July 2, 2017] – Defending TA2 champion Tony Buffomante captured a flag-to-flag victory today in the Trans Am Series presented by Pirelli’s Ryan Companies Muscle Car Challenge, a TA2 class exclusive race, at Brainerd International Raceway. Buffomante weathered 100-miles of incessant pressure from points leader Gar Robinson to secure the win, Buffomante’s second of the season and ninth of his Trans Am career. Robinson, who remains the TA2 points leader, would finish second while his teammate Shane Lewis secured third. The weekend marked a touch of redemption for Buffomante and the No. 34 Bestline Superior Lubricants Ford Mustang, fielded by Mike Cope Racing Enterprises, after a disappointing outing in Indianapolis that saw the 34 finish 17th with clutch failure. This weekend Buffomante and the MCRE team unloaded from the trailer at a blistering pace and remained at speed, pacing every practice session, capturing pole in qualifying, and leading every lap of the race all while setting a new track record 1:31.093 lap around the 2.5-mile course. Robinson, in the No. 74 Pura Vida Tequila/ 74 Ranch Resort Chevrolet Camaro, did not make the task any easier for Buffomante, hounding the No. 34 for the entirety of the race, but Robinson was unable to make a pass for the lead. Still, in finishing second, Robinson easily retained his points lead with 159 points to the 132 of Dillon Machvern, 131 of Shane Lewis and 128 of Buffomante, who is now in the position of chasing his championship defense. While Buffomante and Robinson battled back and forth, Shane Lewis, in the No. 72 Robinson Racing Chevrolet Camaro, would hold third for the entirety of the race as well, bringing home his fifth podium finish of the season. Lawrence Loshak, in the No. 5 Pennzoil/ ETE Reman Chevrolet Camaro, would finish fourth, completing an unexpected charge from the back of the pack— gridding fourth but suffering a spin on the pace lap, sending the No. 5 to the back of the field come green. For retaining his “cool” and his efforts charging from 12th position to fourth, Loshak was awarded the COOLSHIRT Systems Cool Move of the Race. Cameron Lawrence, in the No. 19 Class Auto Centers Chevrolet Corvette, completed a similar charge, finishing fifth after starting 11th, a consequence of missing qualifying due to his participation in the Continental Tire Sports Car Challenge at Watkins Glen the day before. Lawrence will also compete in the TA class later today. The TA2 top ten also included, in order, Keith Prociuk, Tom Sheehan, Shannon Ivey, Tim Gray and Ray Neveau. Dillon Machavern, also a Watkins Glen competitor now in the No. 24 Heritage Motorsports Ford Mustang, moved his way up through the field as well running as high as fourth before suffering a mechanical failure on the 22nd lap, ending his day. For their efforts in preparing the No. 34 of Buffomante, Mike Cope Racing Enterprises was named the Pitboxes.com Crew of the Race, while Travis Cope was named the TraqGear Crew Chief of the Weekend. 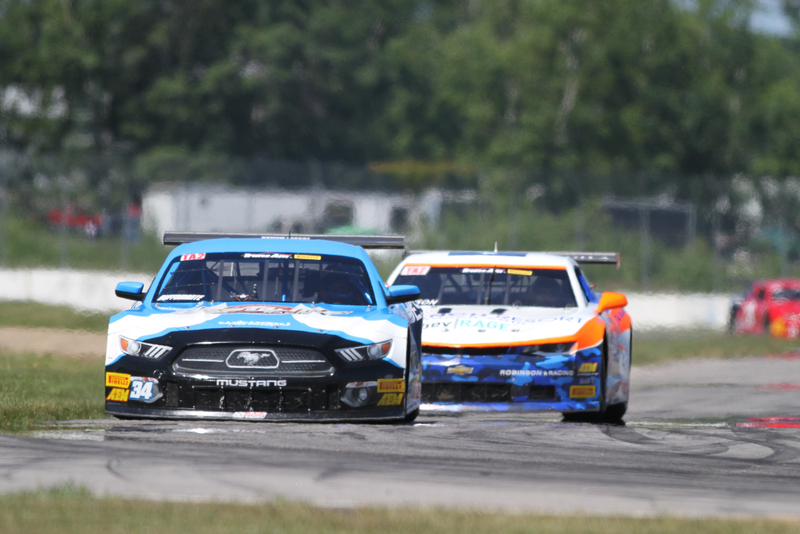 TA2 competitors will now turn their attention to Mid-Ohio Sports Car Course on August 12th. 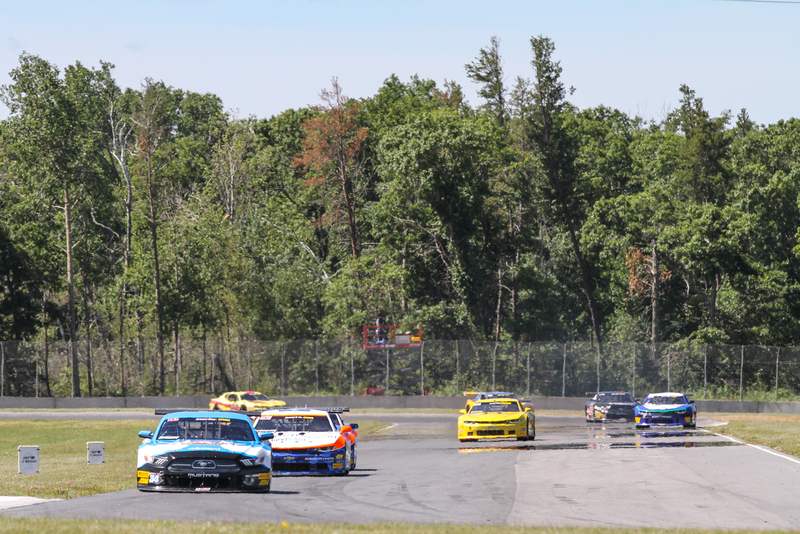 The Trans Am Series presented by Pirelli will now hold a second 100-mile, 40-lap competition today at Brainerd International Raceway commencing at 2:30 PM CT with the TA, TA3 and TA4 classes holding the Ryan Companies Independence Day Classic. Founded in 1938, Ryan Companies offers comprehensive commercial real estate services as a national developer, architect, capital investment consultant, builder and real estate manager with a focus on bringing lasting value to its customers and the communities in which it works. Ryan market depth includes retail, industrial, healthcare and senior living. Ryan development and corporate build-to-suit work spans a wide range of product types including office, mixed-use, hospitality, multifamily housing and mission critical facilities. Ryan has nearly 1,300 employees in 13 offices and has completed projects in 38 states. For more information, visit ryancompanies.com. The Trans Am Series, presented by Pirelli, began igniting the passion of motorsports fans across the world in 1966 and has been home to some of the greatest names in road racing. Today, Trans Am continues to honor its legacy, while challenging the status quo in racing, through meaningful racing platforms and a driver-oriented focus. The Trans Am Series is operated by The Trans Am Race Company, LLC (TARC), and oversees the management and marketing of the Trans Am Series, presented by Pirelli. SCCA Pro Racing sanctions Trans Am events and provides operations services to the Series.